To foodies all over Instagram, Lokokitchen is these past five months’ greatest sensation. 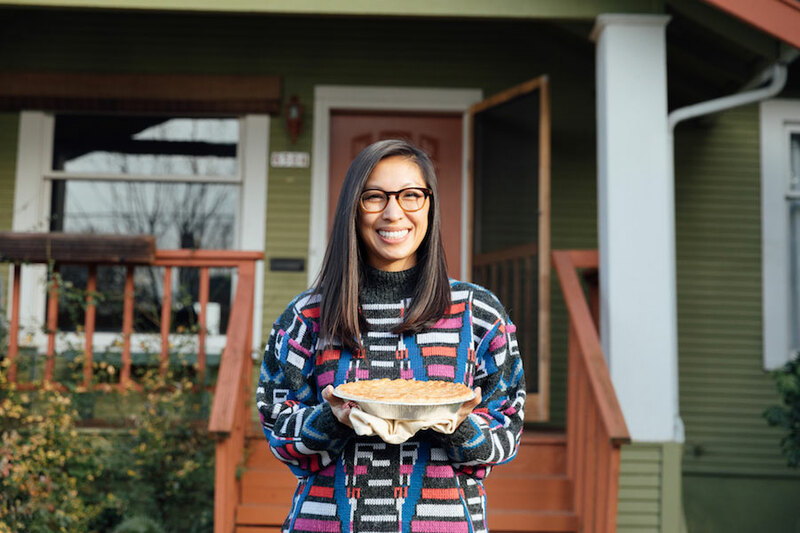 From Seattle, Lauren Ko tells us about how she bakes the world’s most gorgeous pies and tarts. 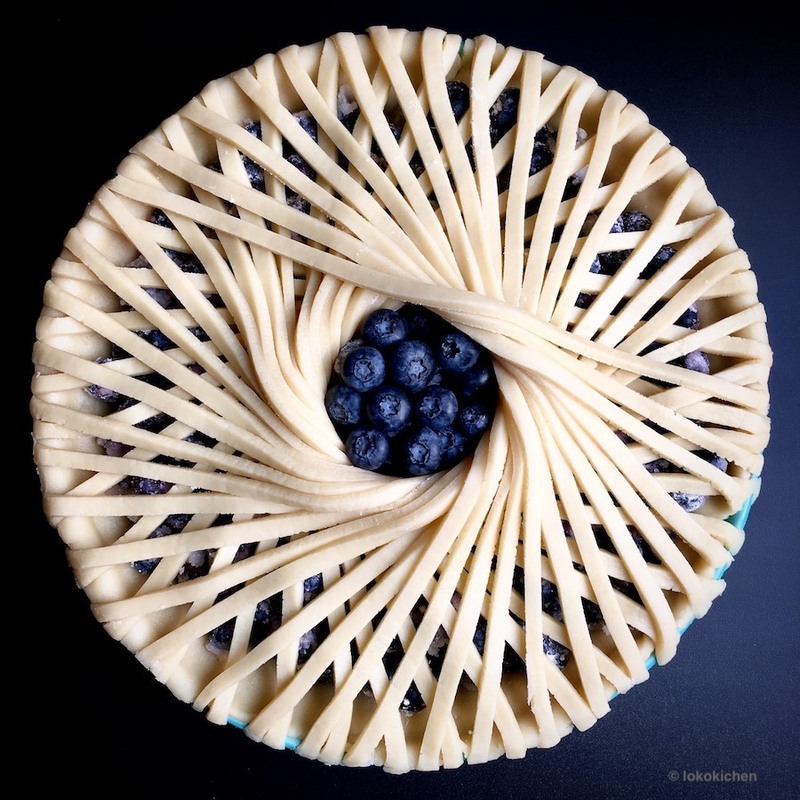 This past October I was surfing Instagram when I came across this feed with only a handful of pies set on a dark blue background. Yep, there were only a few, but nothing like I’d ever seen before. 4000 followers, a funny nickname and hilariously punny captions: Lauren had me at hello and I immediately reposted one of her creations on Cakemania’s profile (follow me to see beautiful cakes everyday!). It’s been a pleasure to see her grow to 100k well deserved followers in just a couple of months (as of time of writing, they are 125k) and keeping an eye on every new ludicrously intricate design she’s come up with since. 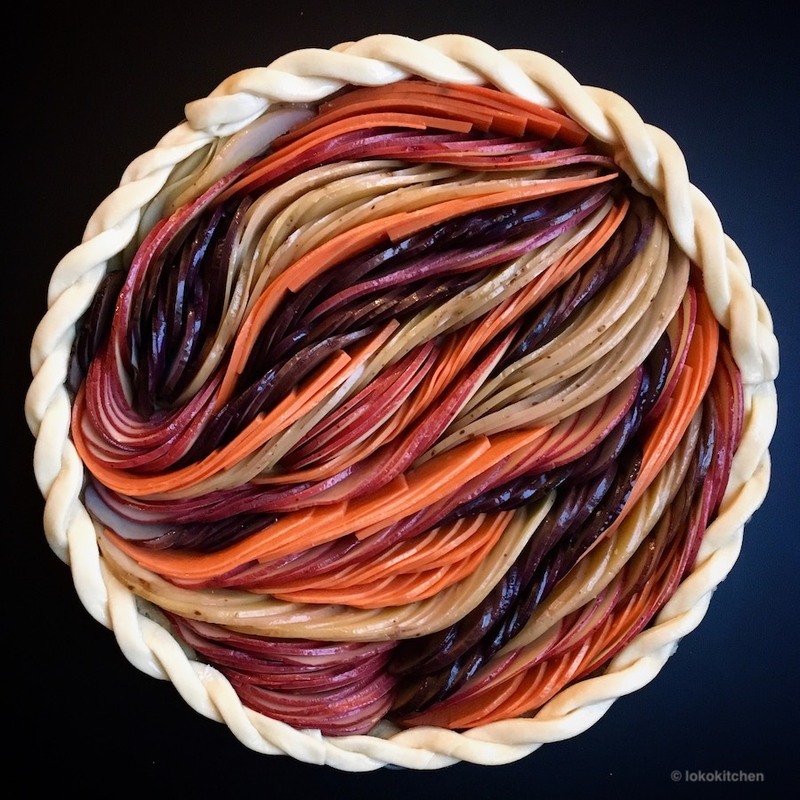 From baking a pie over the weekend and posting it before wolfing it down, Lauren has now gone to devoting her entire workday to her baking brand after quitting her high-end previous job: something most of us would like to do! 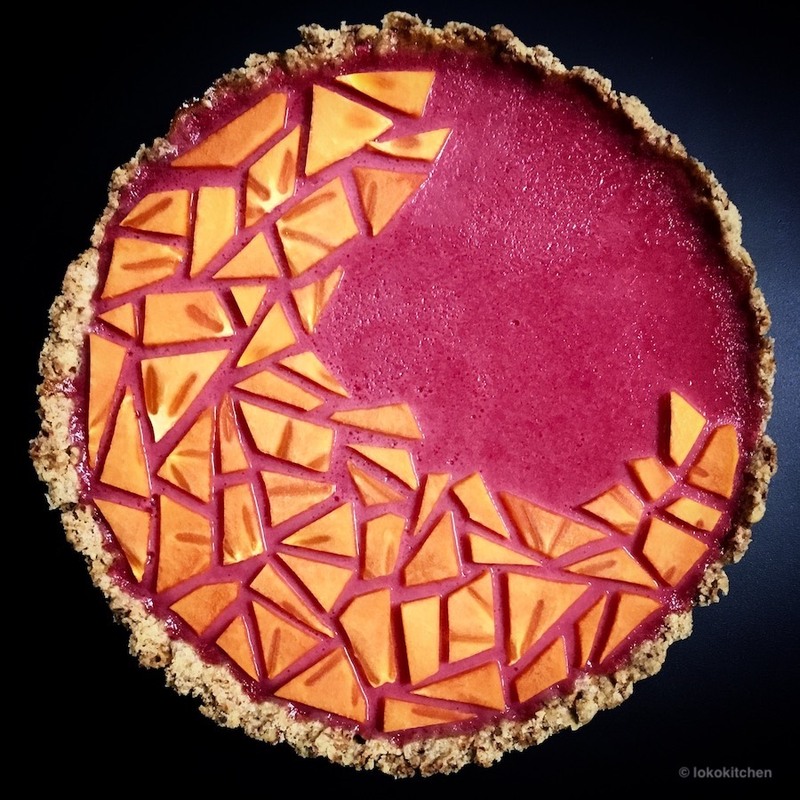 Cranberry curd tart with persimmon tangrams. We’re seeing 50 pies and tarts on your feed now – what is your ratio of postable to just eatable pies? 100% of the pies I make are edible and consumed. 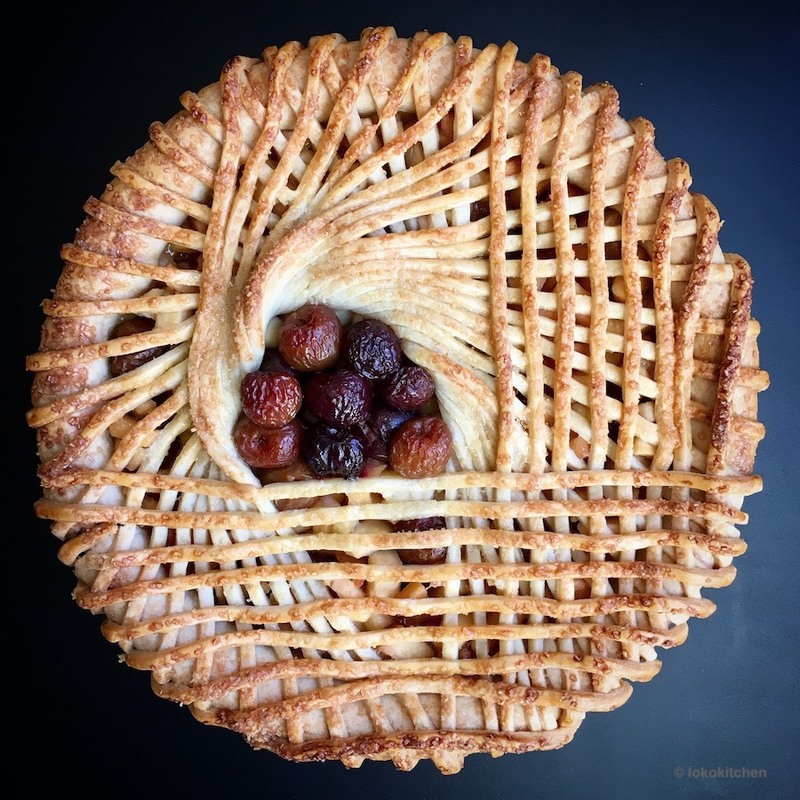 I think there have only been about 3 or 4 pies and tarts that haven’t made the Instagram cut, and those were mainly because the designs didn’t result as I hoped. Simmetry or asymmetry? What makes you more comfortable in everyday life? I tend to be a pretty detail-oriented person, so symmetry and order really appeal to me. That said, I think asymmetry can also produce some wonderful designs–many of which are easier to create because I don’t need to be as precise! 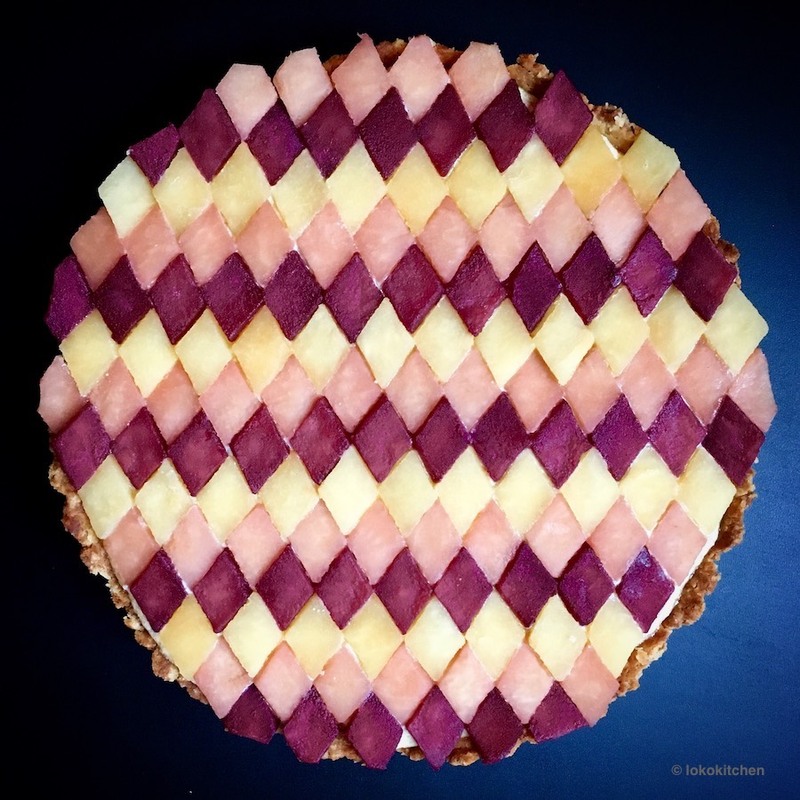 Some of your pies make me think of Van Gogh, some of Kandinsky, some Delaunay… amirite? 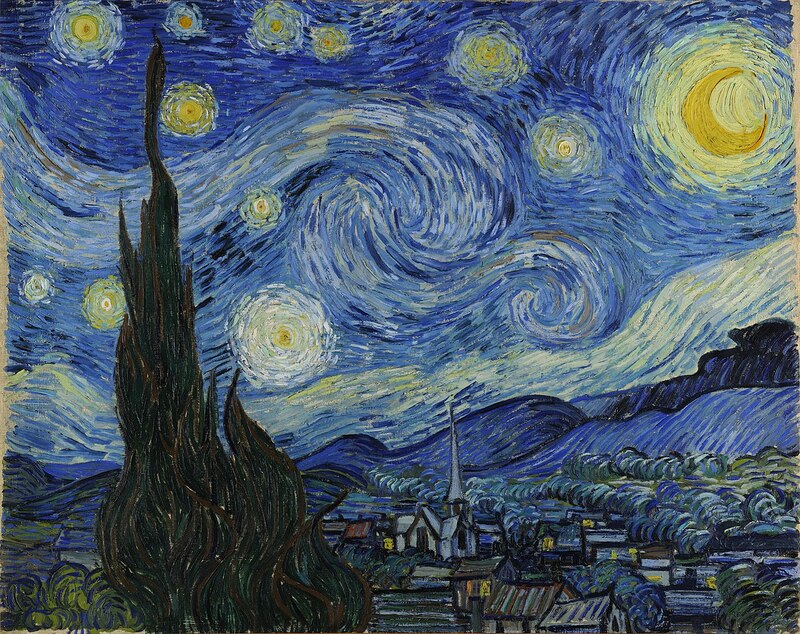 What are your conscious artistic influences? Yes, I have one pie that is an approximation of Van Gogh’s “Starry Night” painting, but beyond that, I’m more inspired by geometric patterns and textiles than any particular artists. I don’t have any specific textile designer or brand influences. I just Google and Pinterest patterns and look for designs that I think I can replicate. Do you make a drawing before you start a new project? I never sketch out designs beforehand. I usually have some nebulous idea in my head for design and then just improvise as I go along, depending on how well the dough or fruit cooperates with my vision. My final products are generally happy accidents (which is why I’m especially stunned by the feedback!). 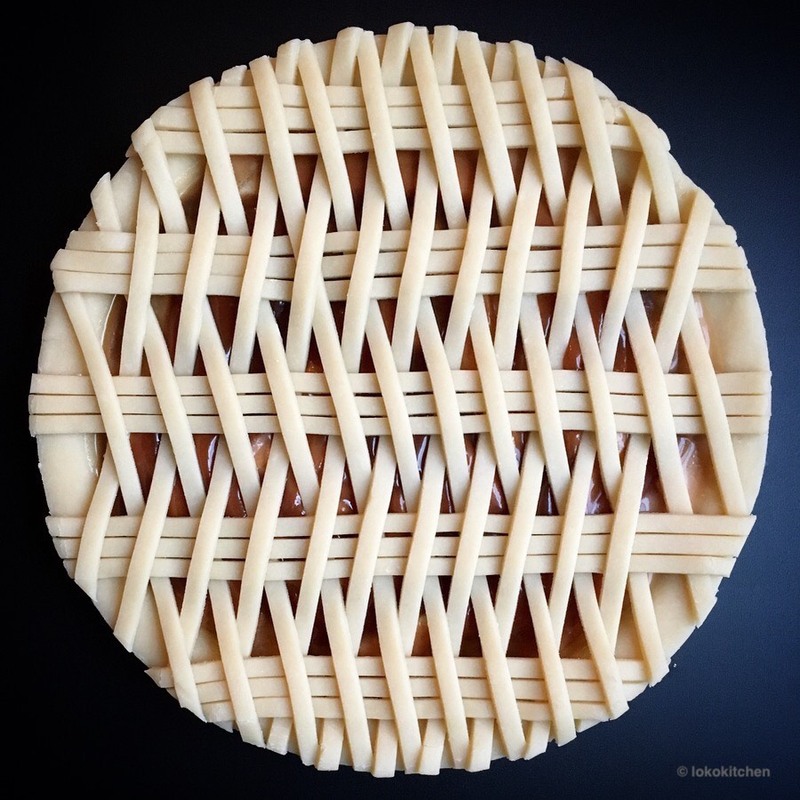 Do you think of your pies as projects? I bake because I enjoy it and I find it relaxing. 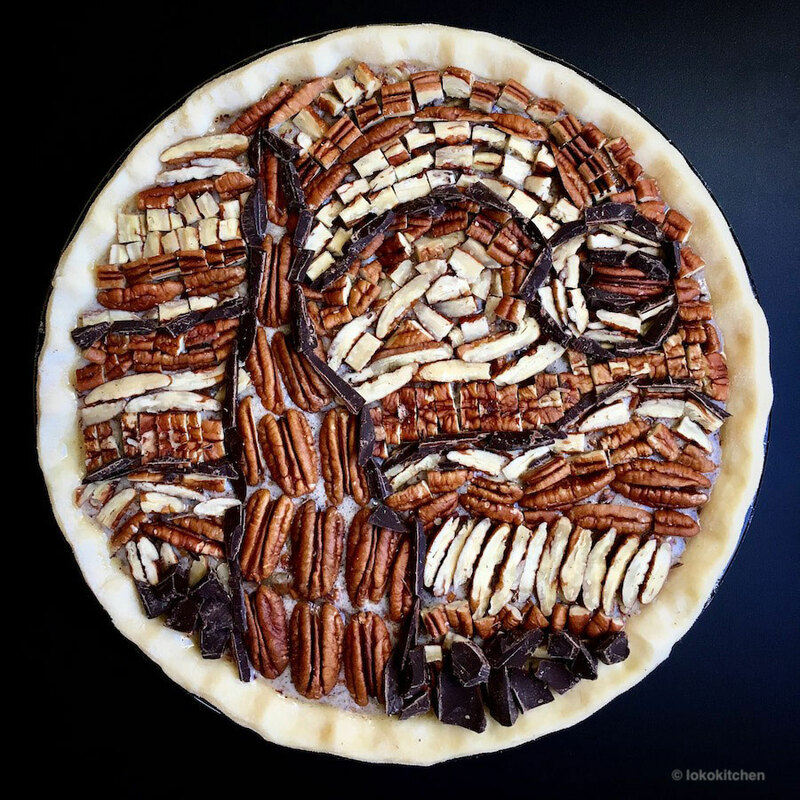 Because I’m creatively-inclined, making these pies is a fun way to combine my interests in art and food. Which tools are indispensable to get that Lokokitchen look? A glass pie plate, a rolling pin, a metal ruler, a sharp knife, and a small pastry wheel are really the only tools I use. As far as the Lokokitchen aesthetic goes, I think bold color combinations and geometric patterns are key. 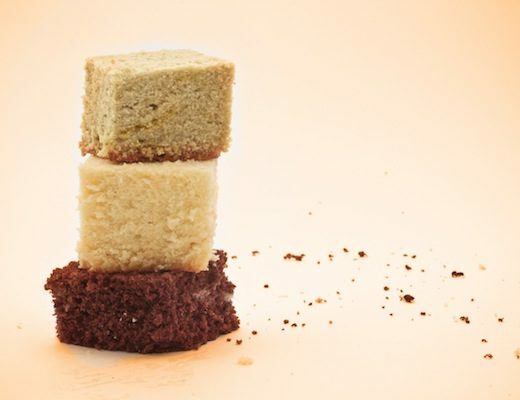 “Yeah, but but does it look like when it’s baked?” (lol) – how many times do you get everyday? Do you really consider it hate mail, as mentioned in Munchies? I get asked “but what does it look like baked?” pretty frequently, which is completely understandable. 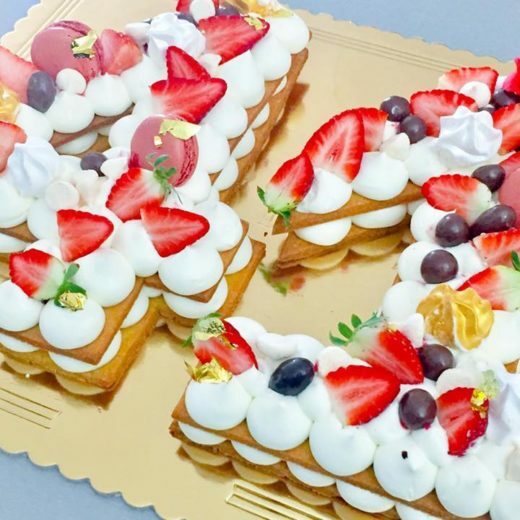 I got into this mainly for the design aspect and pastry just happened to be the medium. It makes sense that people are curious about the baked versions, but I feel that a pie can also be appreciated in its pre-bake state too. 🙂 To clarify, 50% of my posts are tarts, which means that what is posted is the baked version. As for the pies, there are post-baked shots in my feed as well as in my story highlights. But I get it, and I don’t consider the requests to see the baked pies as hatemail at all. I do receive actual hatemail about all kinds of things, which can be unpleasant but apparently just part of having a public presence on the internet. 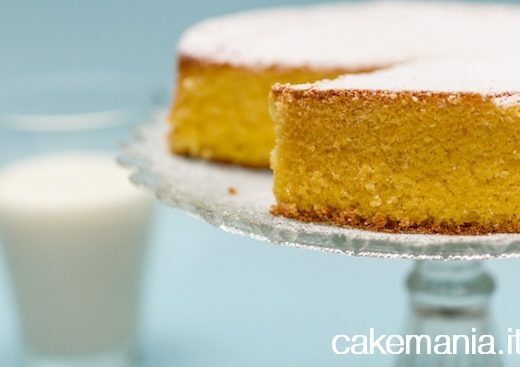 Can you share the recipe for the crust you use? My favorite recipe is Stella Parks’ Old Fashioned Flaky Pie Dough on the Serious Eats site. One of my goals this year is to experiment more with different recipes and ingredients, but that one has worked well for me so far. Which was the most maddening design you’ve done so far? Did it turn out fine at the first take? How long did it take to finish it? The Starry, Starry Night pecan pie was truly a pain and more than I initially bargained for. I cut each individual pecan and chocolate piece to size and it took forever. Many hours and some neck aches later, I can’t imagine I will ever replicate that one again! When it comes to putting fork to pie, do you like better a fresh fruit or a jam pie? Galettes are great! They’re easy to assemble, almost always perfectly crisp, and an excellent way to use up extra dough and fruit scraps! Always serve with a scoop of ice cream!